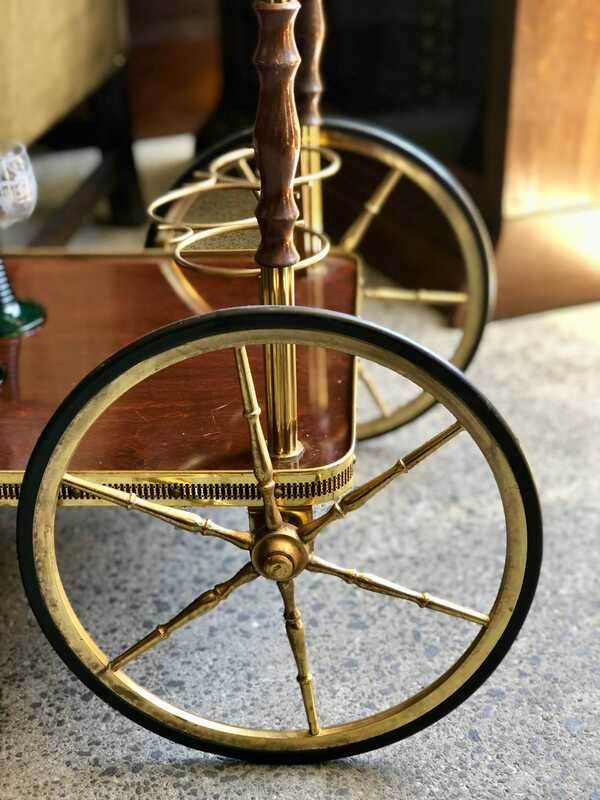 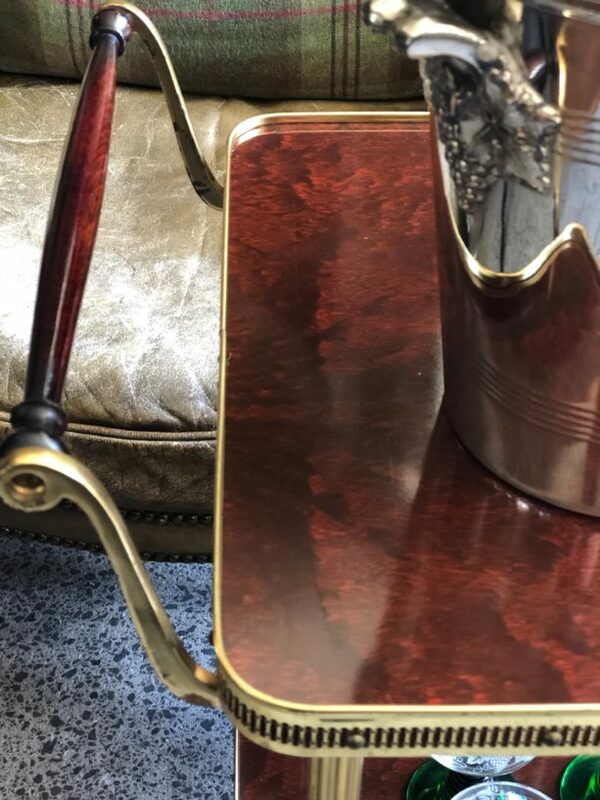 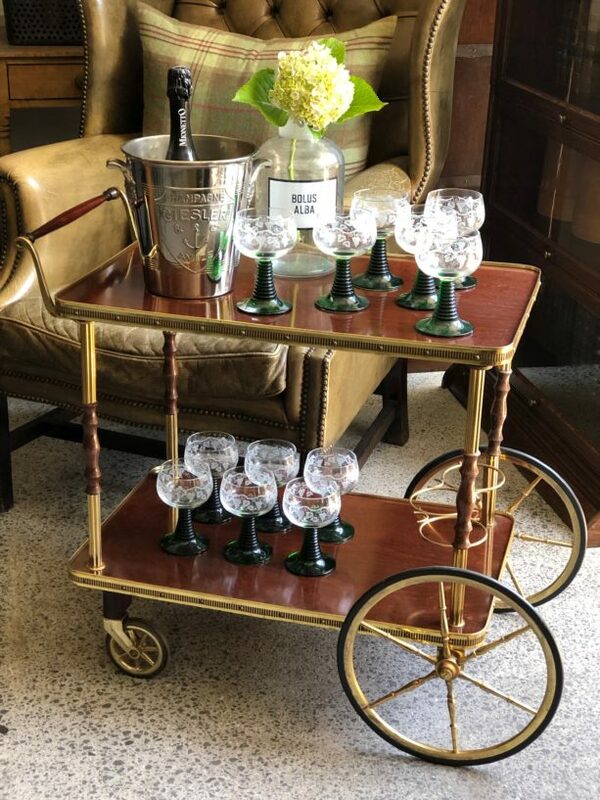 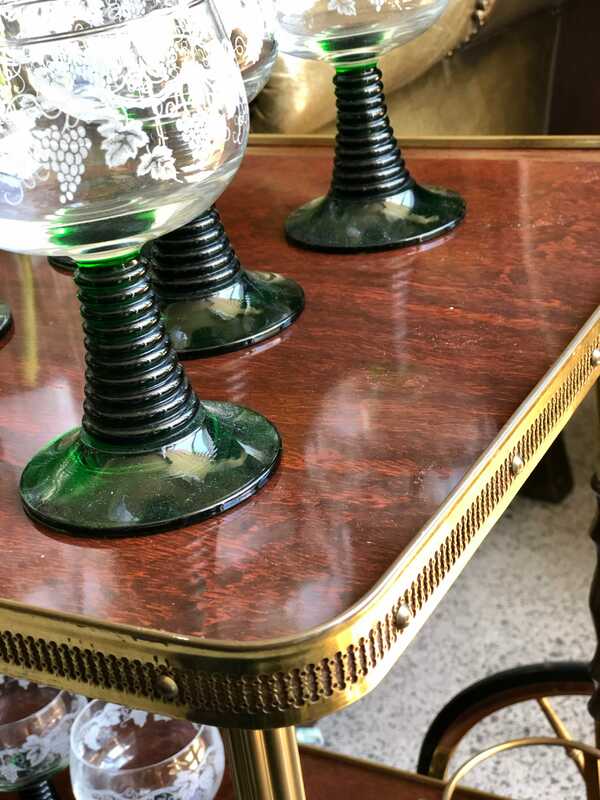 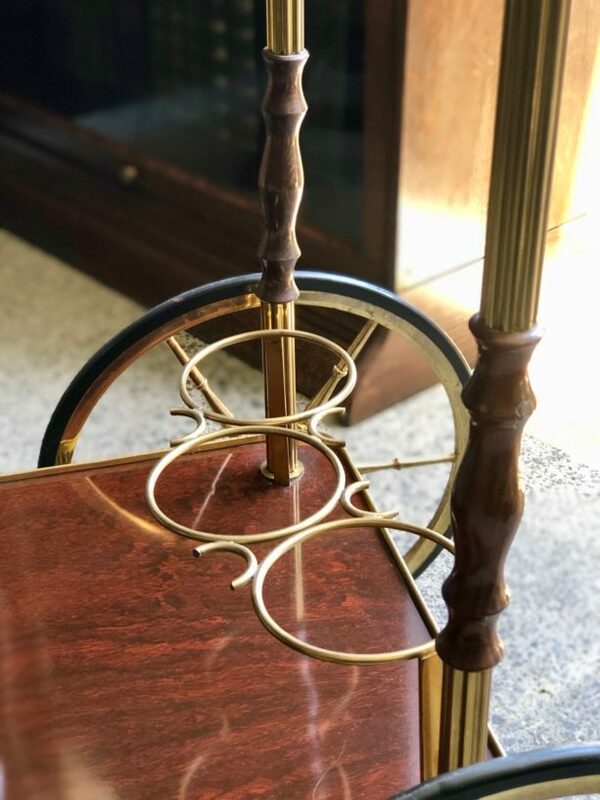 Belgian drinks serving trolley with retro formica trays supported by beautifully etched brass galleries connected by thin pillars with wooden detailing. 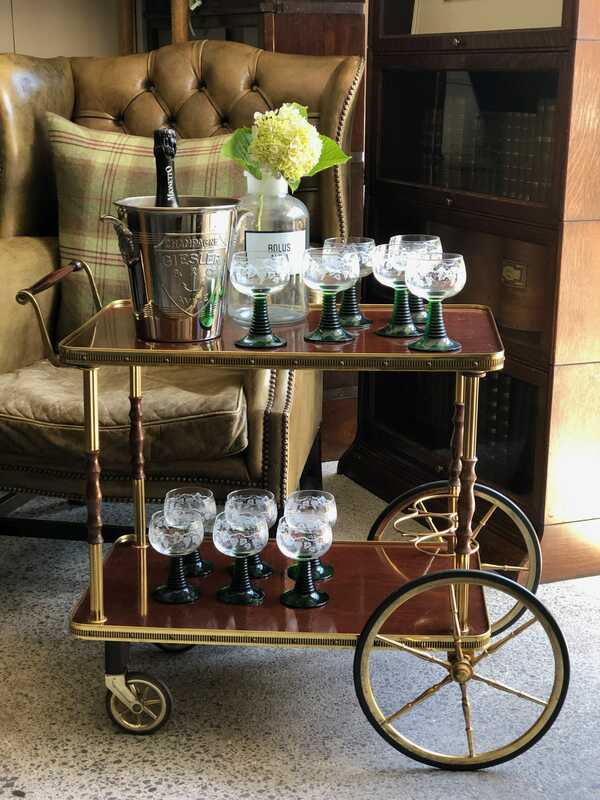 Room for three bottles on the lower tier, rolling on two small and two large ornate wheels to allow easy smooth movement. 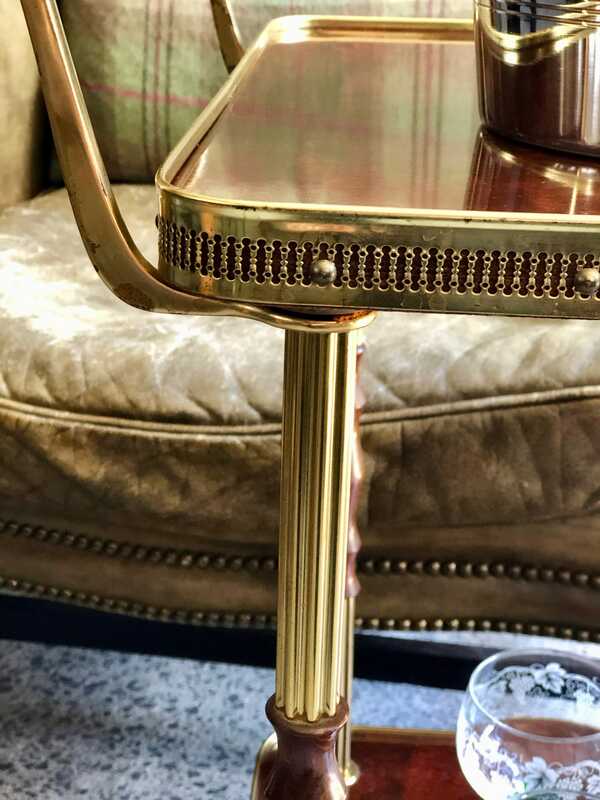 Very much in the Hollywood Regency style.